You cannot rely on public transportation in New Zealand to explore the region’s scenic beauty. There are several beauty spots and special sites that are located far away from civilization. As freedom camping is legal in New Zealand, you can simply hire a fully-equipped motorhome to explore South Island at your own pace. You can further avoid incurring additional expenses by camping at certain public spaces. However, you must remember that certain public spaces in New Zealand are declared as no camping zone by the local councils. So you have to pay fine for not complying with the local by-laws and restrictions. However, you can always consider some simple best practices to enjoy freedom camping in South Island without being fined. You must choose a safe area to park your motorhome. It is also important to park the vehicle well away from the traffic. Also, you must not forget to keep the campervan doors locked before parking it overnight. It is a good idea to park the campervan near a public toilet block. The parking option will enable you to use the sinks, toilets and showers. While using public spaces in New Zealand, you must respect the environment. In comparison to fires, portable fuel stoves cause less damage to the environment. So you must consider using portable fuel stoves. In case you are making a fire, use only dead wood and keep it small. Also, you must douse the fire out with water and clean the ashes before leaving the site. You also need to dispose the toilet waste in the most appropriate way to avoid environmental damages and cultural offenses. The toilet waste can further contaminate water. You must dispose the toilet waste by using the disposal facilities available at the site. Otherwise, you have to bury the toilet waste by digging a shallow hole at least 50 meters away from the water source. If you decide to clean or wash, it becomes important to carry out the activities away from the water source. The water life will be affected negatively by soaps and detergents. Also, you must filter the used water by draining it into the soil. Likewise, litter can also pollute water and harm the wildlife. So you must try to reduce the quantity of rubbish and remove them to keep the public place clean and litter-free. To enjoy freedom camping properly, you must hire a comfortable, clean and fully-equipped. 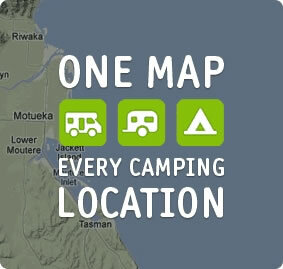 Some reputable campervan hire South Island NZ companies like Camperco even provide detailed maps and rulebooks to free campers. Before parking your campervan at a public space, you must understand the local by-laws, while respecting both environment and other visitors. Before leaving the site you need to ensure that no traces of your camping are left.